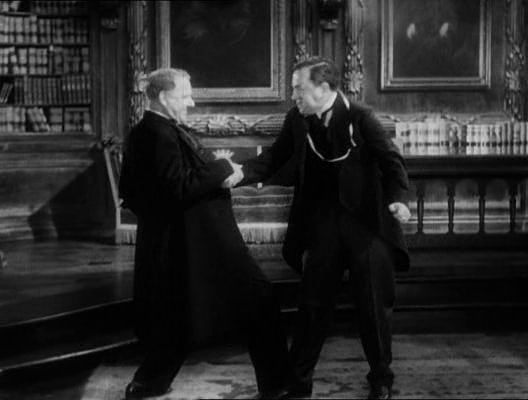 The president (W.C. Fields) of Klopstokia tasks the suitor (Jackie Oakie) of his daughter (Anne Fleming) with raising money for his bankrupt country. 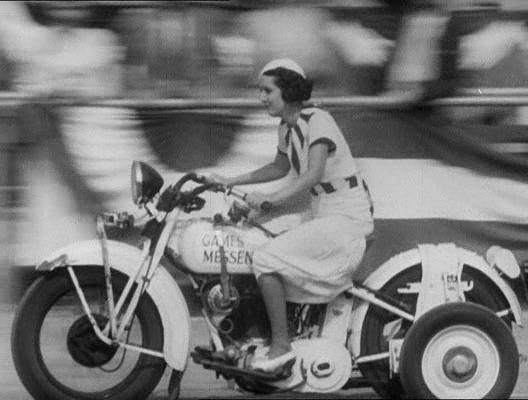 When Oakie realizes how athletic all of Klopstokia’s citizens are, he decides to enter them in the 1932 Olympics — but Fields’ detractors are anxious to ruin him, and enlist the help of seductress Mata Machree (Lydi Roberti) in distracting the athletes. 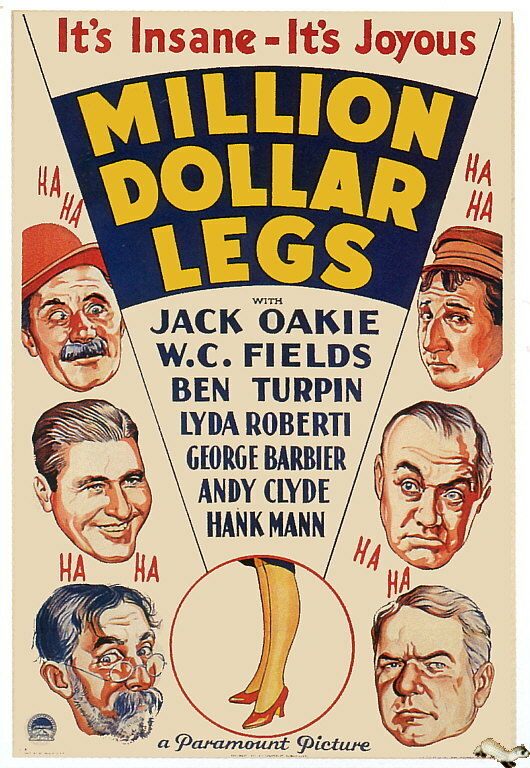 Film fanatics might be forgiven for assuming that the film in GFTFF called Million Dollar Legs would either be about Betty Grable (nope, that’s the 1939 film of the same title) or Esther Williams (nope, that’s the 1952 film Million Dollar Mermaid, which isn’t included in Peary’s book — speaking of which, NONE of Williams’ films are listed in GFTFF, which seems like an oversight…). At any rate, this early W.C. Fields feature (his first for Paramount Studios) is a surprisingly zany outing, similar in many ways to the following year’s Duck Soup (1933), and also to Fields’ final starring-role film, Never Give a Sucker an Even Break (1941) (complete with goat milk jokes and a fictional European-esque destination). David Denby refers to Million Dollar Legs as “about as close as Hollywood… ever came to the spirit of Dada”, and this is an accurate description. While it’s not entirely successful, there are enough wacky surprises, off-the-wall interactions, and random elements (all the girls in Klopstokia are named Angela, and all the boys are named George; when asked why, Fleming simply replies, “Why not?”) to keep viewers at the very least interested in what happens next. Watch for a weird performance by blonde bombshell Lyda Roberti (who died at the age of 31 from a heart attack), in her best known role. Note: The film’s title most likely refers to the insanely fast running speed of Klopstokia’s Major Domo (Andy Clyde), but is still rather a strange choice. No, but it’s strongly recommended. Listed as a Cult Movie and a Personal Recommendation in the back of Peary’s book.